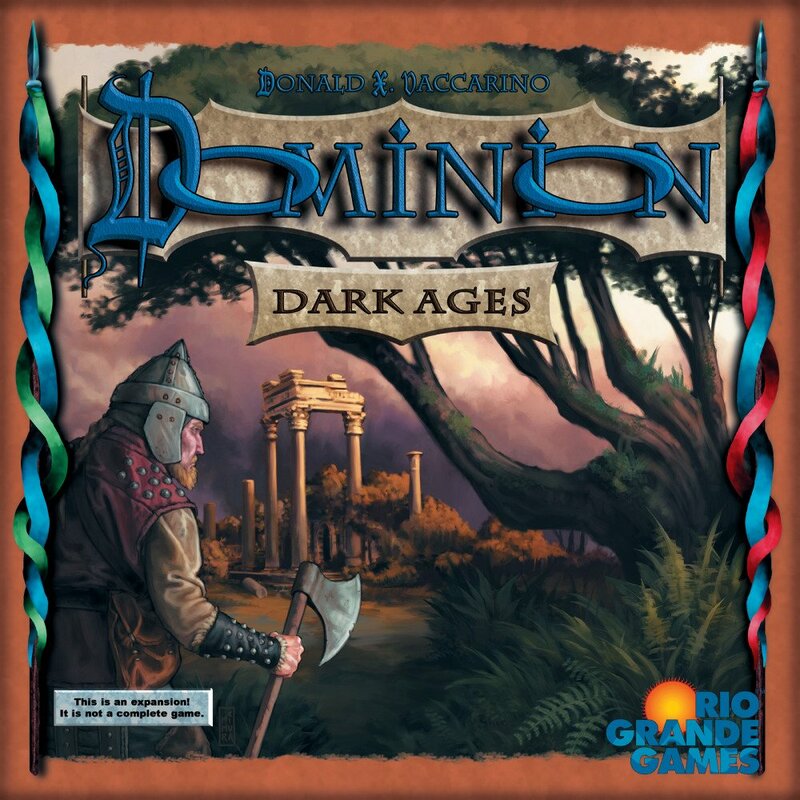 This is the 2nd addition to Dominion. It adds 26 new Kingdom cards to Dominion. Its central theme is your next turn; there are cards that do something this turn and next, cards that set up your next turn, and other ways to step outside of the bounds of a normal turn. 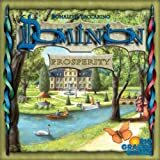 Dominion: Seaside is an expansion to both Dominion and Dominion:Intrigue. As such, it does not contain material for a complete game. Specifically, it does not include the Treasure, Victory, Curse, or Trash cards. 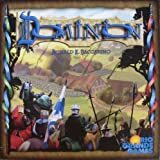 Thus, you will need either the base game or Intrigue to play with this expansion and have experience playing Dominion with either of the first two games. It is designed to work with either or both of these sets, and any future expansions that may be published. Before the first game, remove the three sets of cards from their wrappings and place them in the card tray. One side of the included inlay suggests a way to organize the cards. The opposite side allows players to create an organization that fits their needs. Next remove the player mats from their frames. There are 3 for each player: Island, Pirate Ship, and Native Village. The mats are used in the game only when playing with their corresponding Kingdom cards: Island, Pirate Ship, and Native Village. Place player mats not being used in the game back in the box. Place the coins in the Supply when playing with the Pirate Ship cards and the tokens in the Supply when playing with Embargo cards. Otherwise, return these components to the box. Neither the tokens or coins are intended to be limited. Thus, if you run out of those supplied with the game, use some suitable substitute to represent them. Seaside includes 26 randomizer cards (one for each Kingdom card in Seaside). You will need the Treasure cards, Victory cards, Curse cards, and Trash card from either Dominion or Dominion: Intrigue to play with this expansion. As with previous Dominion games, players must choose 10 sets of Kingdom cards for each game. If players choose the random approach for choosing sets, they should shuffle the randomizer cards from this expansion with those of Dominion and/or Dominion: Intrigue, depending on what games they want to play with. Of course, players can choose to play with just Kingdom cards from Seaside and just choose cards from this expansion. Look at - When a card tells a player to look at another card or cards, the player does not show them to other players. In play - Action cards and Treasure cards played face-up in a player’s play area are in play until they are moved somewhere else—usually until they are discarded during a Clean-up phase. Only played cards are in play; set aside cards, trashed cards, cards in the supply, and cards in hands, decks, and discard piles are not in play. Reaction abilities like Moat's do not put those cards into play. after your turn. Leave the card in front of you until the Clean-up Phase of the last turn in which it does something (discard it before drawing for the following turn). So if the card says "Now and on your next turn", discard it during the Clean-up phase of your next turn. If you play or modify a Duration card with another card, that other card also stays in your play area until it is no longer doing anything. For example if you play Throne Room on Merchant Ship, both cards stay in play until the Clean-up phase of your next turn. The Throne Room stays in play to remind you that you are getting the effect of Merchant Ship twice on that next turn. If multiple cards resolve at the same time on your turn (for example, Duration cards that do something "at the start of your next turn"), you choose what order to resolve them. A card that affects multiple players during your turn still resolves in player order, affecting you first if it affects all players and then proceeding clockwise. In order to keep track of which Duration cards are discarded during the current Clean-up phase and which Duration cards remain in play, place Duration cards in a separate row above the other Actions and Treasures played. When a Duration card has its last effect, move it to the row of cards that will be played and discarded during the current turn. At any point in the game, if a player has to do anything regarding his Deck (draw, reveal, set aside, look at, or trash cards), and he needs more cards than are remaining in his Deck, he must do as many as he can and then shuffle his face-up Discard pile to form a new face-down Deck. Then, he does the things with the remaining number of cards from his newly shuffled Deck. If a player’s Deck is empty, he does not shuffle his Discard pile until he needs to do something with cards from his Deck and cannot. Players may look at face-up set-aside cards of any player. Players may count face-down set-aside cards (both their own and those of other players). Some cards give a player a choice between two or more options (Pirate Ship, Native Village). You may pick any choice offered, even if you cannot do what it tells you to, but once you make a choice, you must complete as much of it as you can. Specific examples of this rule are given in the descriptions for cards on the info sheet. Some cards are both Victory cards and another type as well (e.g. Island). These cards are both types for all purposes. Island can be played like a normal Action and at the end of the game, it contributes to your score. When a card refers to a type of card, it means any card having that type; so, for example, Library can be used to set aside an Island.